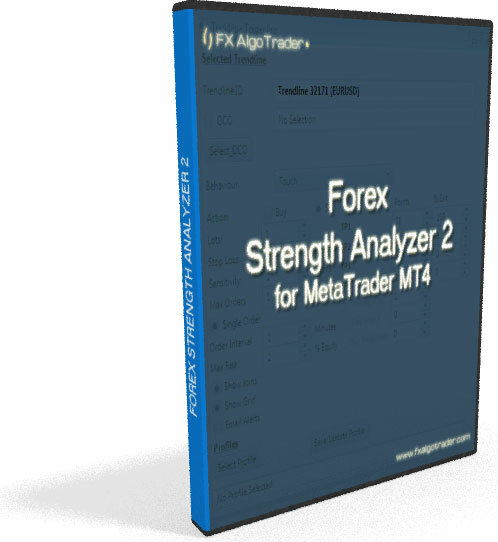 The FX AlgoTrader Strength Analyzer 2 takes aggregated RSI strength analysis for currencies to a new level. 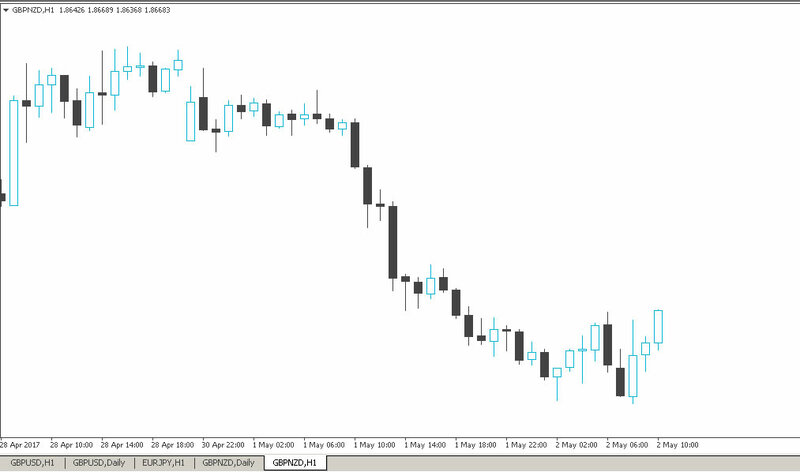 Our new version allows traders to set custom RSI alert trigger levels and also includes filters which allow the trader to screen for rising or falling RSI conditions. This allows the trader to not only isolate the optimum currency pairs but also derive a trading direction in terms of going long or short (buying or selling respectively). 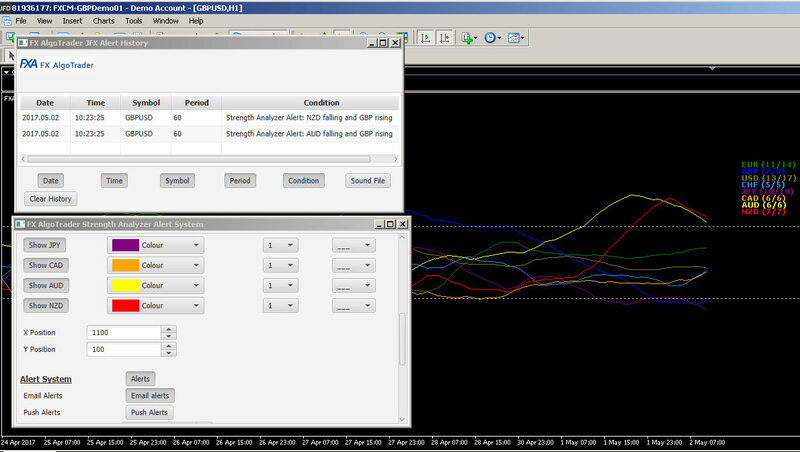 Strength Analyzer 2 also features a unique JavaFX control interface with email, push and on screen pop up alerts. Hourly RSI Strength Analysis 02/05/2017 @11.28 BST with alert module showing Falling AUD and NZD with rising GBP components. 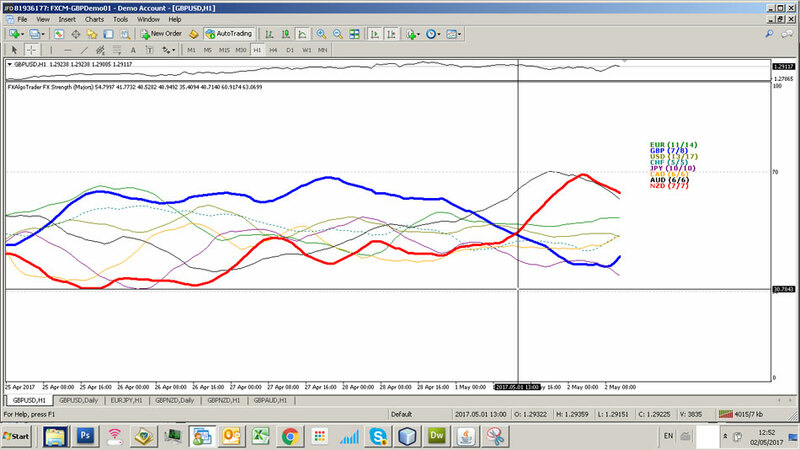 Isolating the GBP, AUD and NZD aggregated RSI components for closer analysis. Crossovers in the mid range. 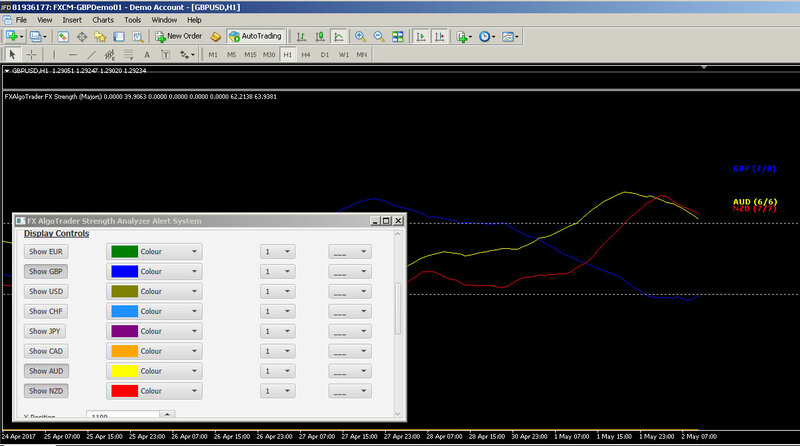 Note the NZD and GBP RSI readings crossed over in the mid section of the indicator. This happened on 01/05/2017 at 13:00 GMT. 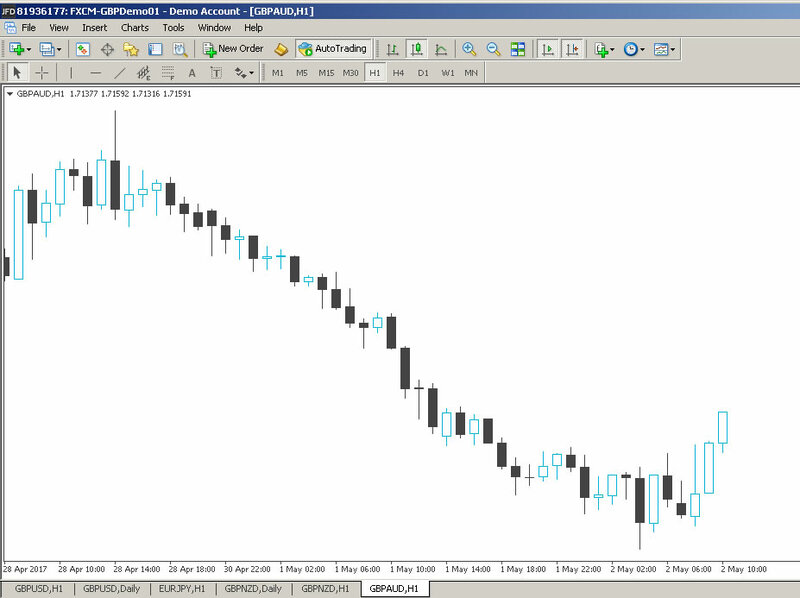 By setting trigger levels around the mid section as shown above the trader is alerted when RSI readings below the upper trigger level are rising and RSI readings above the lower trigger level are falling. This essentially describes a 'crossover' condition. 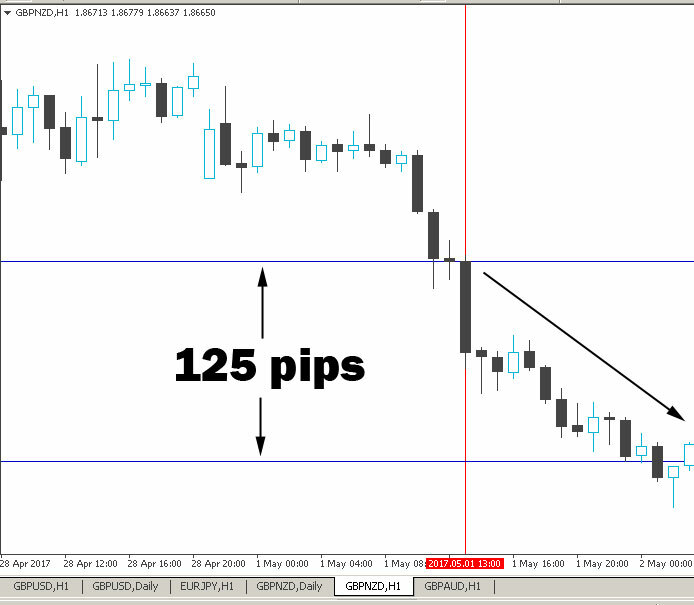 In the GBPNZD chart above we can see the downtrend in the GBPNZD continue achieving an easy 125 pips of potential after the crossover condition.